A deposit return scheme to increase recycling rates and slash the amount of waste polluting our land and seas will be introduced subject to consultation later this year. 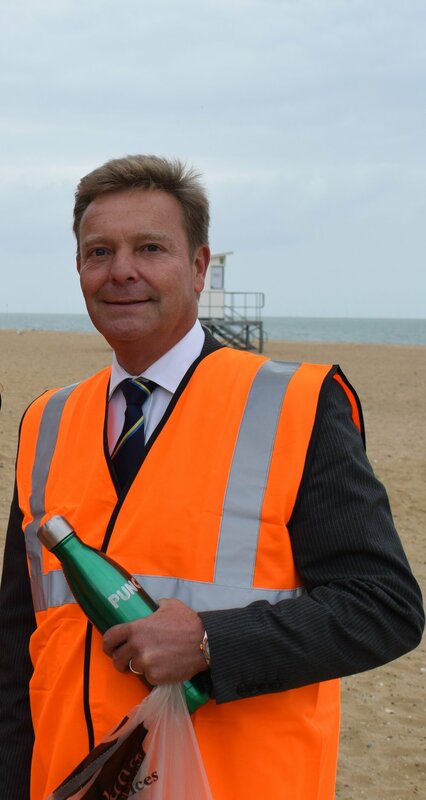 The proposal has been welcomed by South Thanet’s Member of Parliament, Craig Mackinlay MP. The consultation will look at the details of how such a scheme would work, alongside other measures to increase recycling rates. We hope to talk to the devolved administrations about the scope for working together on this important issue. This announcement is the latest move in the government crackdown on plastic, following the plastic microbead ban hailed as one of the world’s strongest bans and the 5p plastic bag charge – which has led to 9 billion fewer bags distributed. It also follows the recent call for evidence by HM Treasury on taxes and charges to reduce waste from single-use plastics, so that all relevant findings can be fed into the proposals. “We can be in no doubt that plastic is wreaking havoc on our marine environment – killing dolphins, choking turtles and degrading our most precious habitats. It is absolutely vital we act now to tackle this threat and curb the millions of plastic bottles a day that go unrecycled. “The amount of waste polluting our land and seas remains a great source of frustration for residents all over the Isle of Thanet. It’s one of the biggest issues that’s raised with me on the doorstep.